I made it!! I have successfully managed to complete the 30 Day Snap - Louise I hope you're proud! Here is my June in a nutshell (sang in Harry Hill TV Burp tune ... if you are from the UK and have a sense of humor you will understand...)! 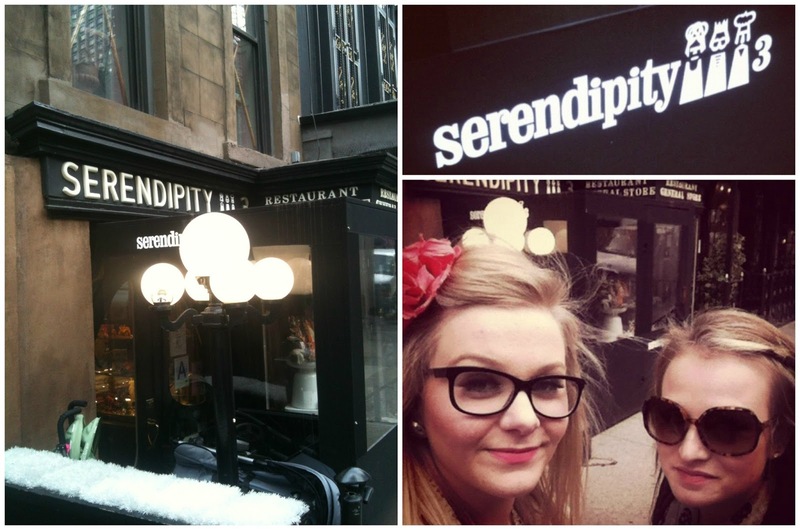 I actually made this photo collage earlier and then went onto Louise's blog and have seen she's done exactly the same thing - great minds think alike eh? I hope you have all had a fab month now... bring on July! I have lots of ideas for new posts and if you want to request anything please feel free to leave and comment below! Catch up here, Days - 1, 2, 3, 4, 5, 6, 7, 8, 9, 10, 11, 12, 13, 14, 15, 16, 17, 18, 19, 20, 21, 22, 23, 24, 25, 26, 27, 28, 29. 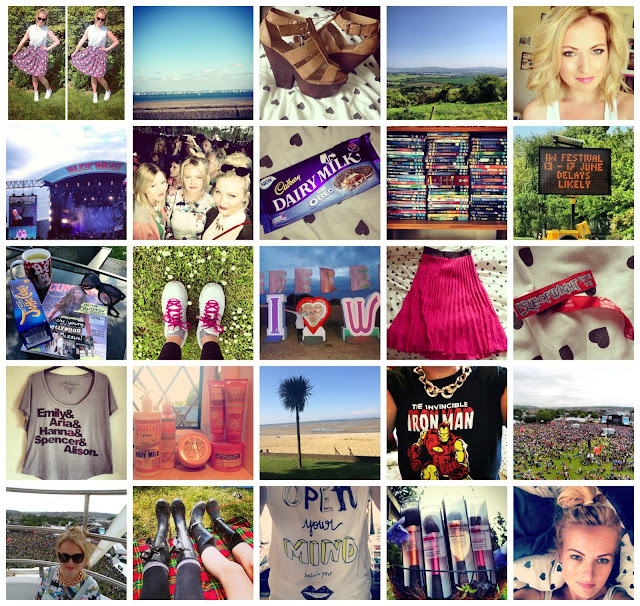 Another month down which means, another favourites post! June has been mostly a great month, with a few lows! My highlight of the month has to be the Isle Of Wight Festival, I had such a great time with my boyfriend and friends (check out my 30 Day Snap for some pictures of my weekend)! 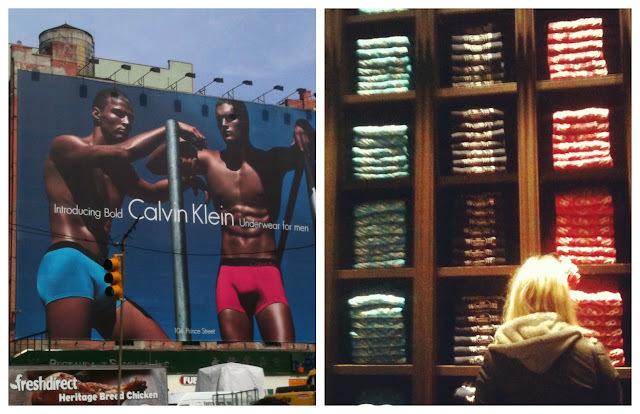 Here's just a few other things I have been loving in the month of June! A bit of a mixture of things this month and I've actually already mentioned a few of them in previous posts aswell, but these are my top picks from the last 30 days or so! I actually was going to put this in my May favourites but totally forgot about it, so Iknew it just HAD to go in this months! 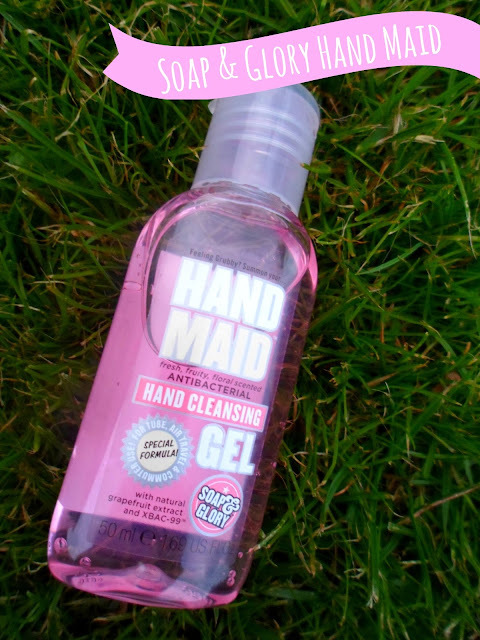 I have been using this stuff for a few months now (after stealing it from my Mum) and really love it! 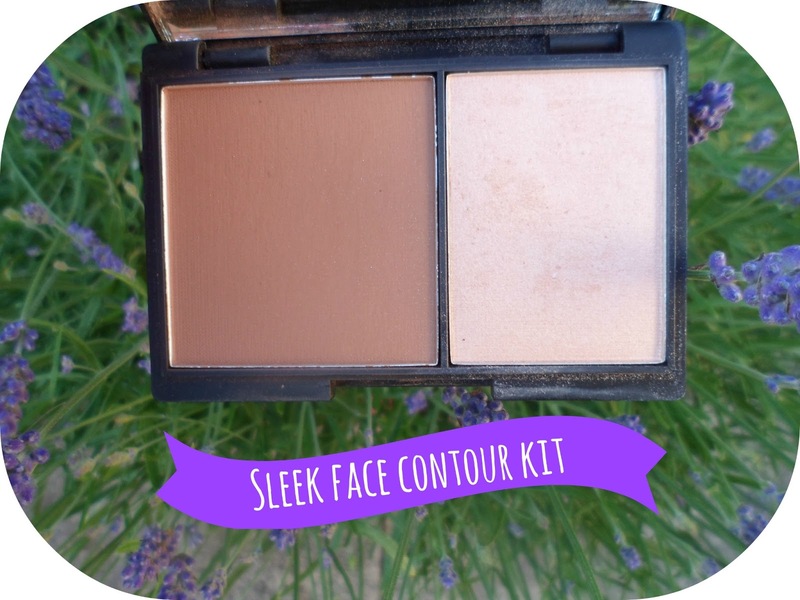 Next is the Face Contour Kit by Sleek in the shade - Light. I mentioned this in a haul post called Thank You Mr. Postman and have used it everyday since! (Well everyday that I've worn make-up)! I use an angled blush brush from the elf mineral bamboo line for the bronzer along my cheek bone and then the real techniques contour brush to apply the highlighter above it! I then use the blush brush again from Real Techniques to blend them together to avoid any harsh lines. I love the effect and the quality of the product is amazing, I keep getting asked if I'm wearing High Beam (a Benefit highlighter) on my cheeks - well worth the price it is now a staple in my make-up bag. Pretty isn't it? 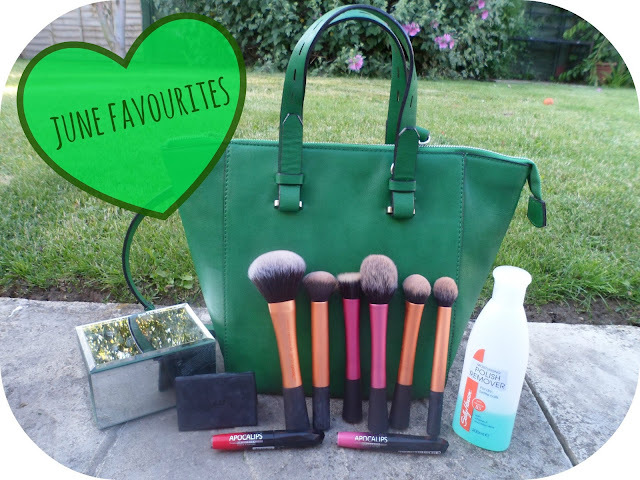 Yup I've got myself a new bag this month, so clearly it has to be in my favourites! This is the mini shopper bag from Zara (I'm sure you've all seen it before!). 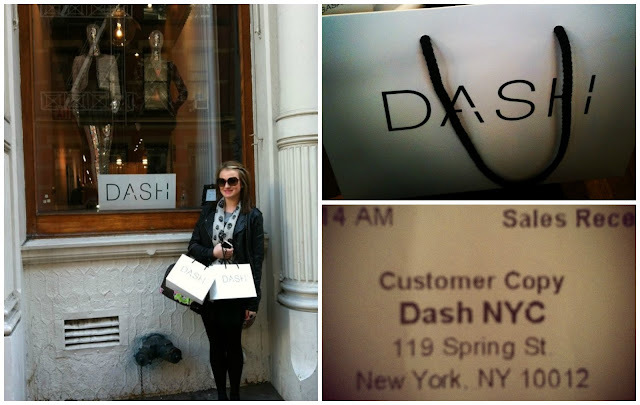 I don't have a Zara anywhere near where I live so I always get my stuff from their online store. Originally I did want the orange version of this bag but unfortunately they didn't have that one available on the website so I settled for this gorgeous green colour. (Although black is a great colour as it goes with everything I fancied something a little different this season)! 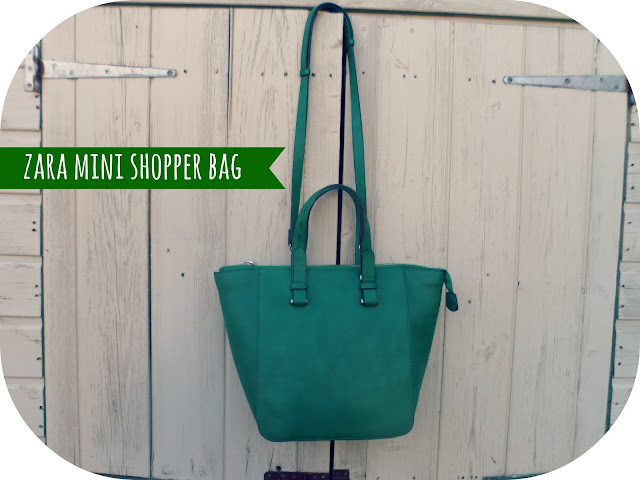 I think this bag is such a bargain for the price - only £22.99 - and the size, for me, is perfect! First of all ... LOL at my foot sneaking in the photo, I've only just noticed this as I'm writing this section - doh! If you read blogs alot, watch youtube, go on twitter or hell, just use the internet you are going to have heard so much about these already! Baring this in mind I shan't bore you for long. These are some of my Real Techniques brushes - the best brushes I own. 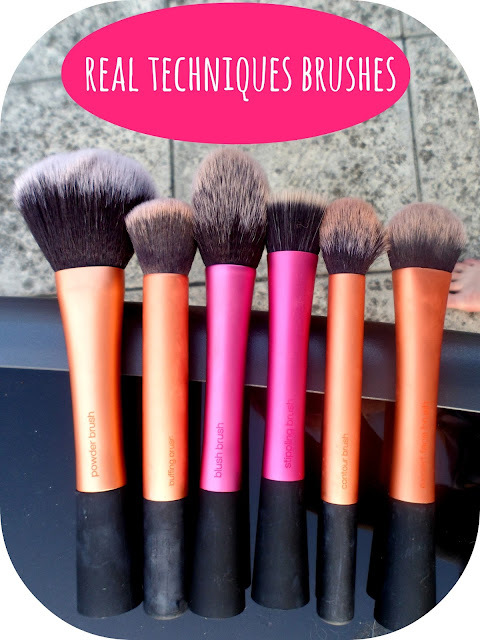 From left to right you have - the Powder, Buffing , Blush, Stippling, Contour & Expert Face brushes. I use most of these daily, they are so soft and give the best results for someone who wears a full-face of make-up like myself - a fantastic investment. Now, I could do a whole post about these. 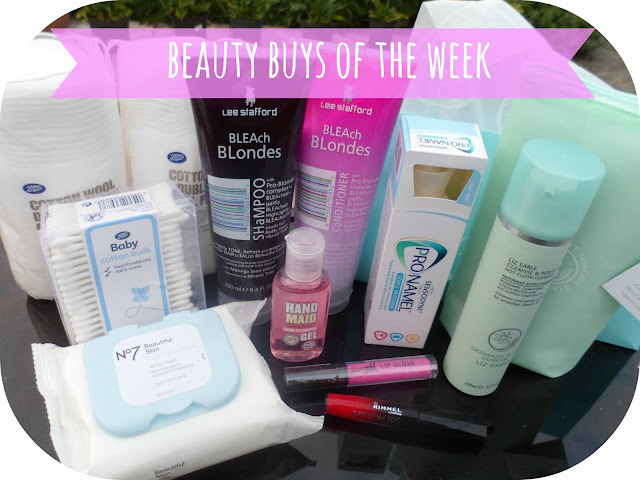 If you are a regular reader (thank you) you would have already seen me rave about these in my recent post - Kirstie's Beauty Buys Of The Week. A few weeks ago now I purchased the pink shade on the right - Nova. I immediately fell in love with the feel and result of it and knew I would be purchasing more. After searching high and low for a new red lipgloss I knew this was going to be the one - Big Bang (left) is such an amazing colour and I love that I have the look and stay of a lipstick and the shine of lipgloss all in one! 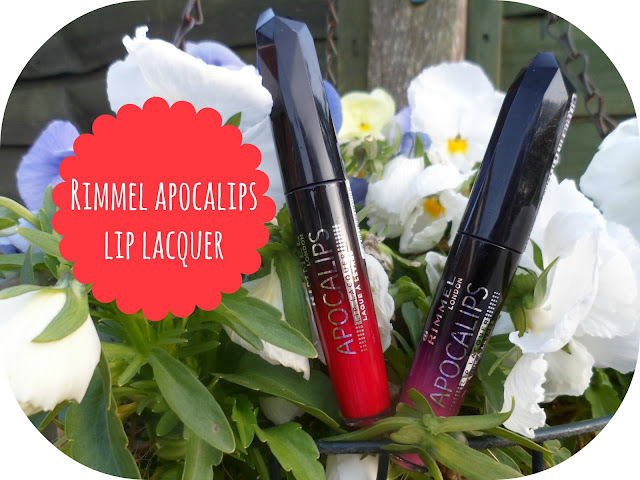 These lip lacquers are faultless I'm going to be buying more this week! Guilty confession to make with this one. I copied my Mum! She has the larger version and this one and I always think they look so cute! So this week when I saw this on sale for half price I had to buy it! It is from M&Co (I think this is actually the first thing I've ever bought from there) and was down to £6 from £12. 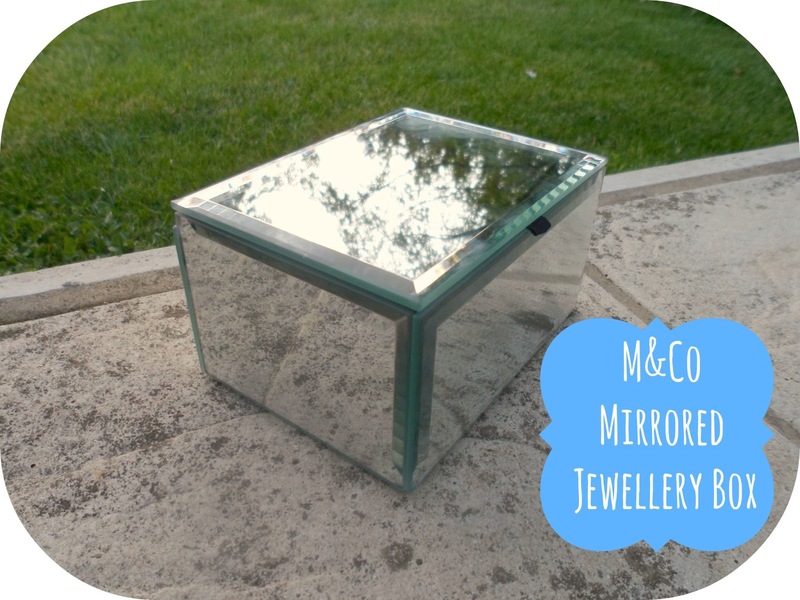 I've put all my small stacking rings in here and it's replaced the glass ashtray that was featured in my Make-up Storage post with it. In my last favourites posts I shared with you my favourite album of the month and this month is going to be no different! 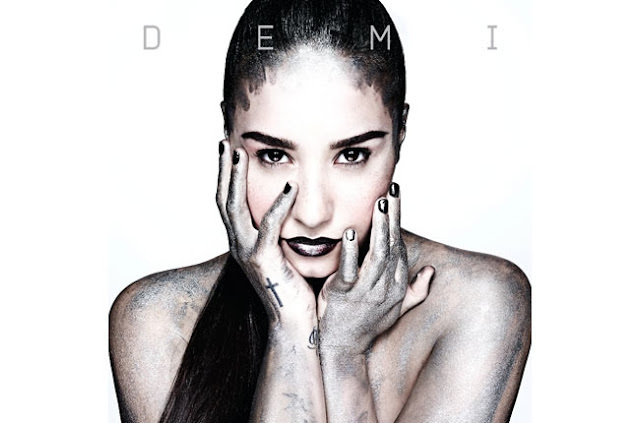 I cannot stop listening to Demi Lovato's new album - Demi! This is my sort of music, girly, fun, a few ballads and great to sing along too! It is one of those albums that you only have to listen to once and you know you love it, I have been playing it non-stop for weeks and weeks! My favourite tracks are Nightingale, Warrior, Made In The USA & Really Don't Care (which features Cher Lloyd!). So so excited to just chill out tonight and have a nice relaxed day off tomorrow! I love relaxing Sundays - No make-up, hair on top of my head, comfy clothes (pjs/joggers/onesie), no bra, perfect! What are your guys' plans for this weekend? Catch up here, Days - 1, 2, 3, 4, 5, 6, 7, 8, 9, 10, 11, 12, 13, 14, 15, 16, 17, 18, 19, 20, 21, 22, 23, 24, 25, 26, 27, 28. Been wanting these 4 for so so long (so far I only have the core collection and that is NOT enough!) and finally splashed out (yes I'm tight) and bought these Real Techniques brushes from feelunique.com. I ordered the Powder Brush, the Stippling Brush, the Blush Brush & the Expert Face Brush. Now...I know they are all going to be amazing so I'm not going to bore you with a post about them because there is already hundreds out there but I thought they would be perfect for today's 30 Day Snap! Had a really bad day today, one of my little doggies had to be put down so I'm very sad this evening :-( He was 13 and I know it was the best thing for him but I can't help but feel heartbroken, I've grown up with that little guy! Catch up here, Days - 1, 2, 3, 4, 5, 6, 7, 8, 9, 10, 11, 12, 13, 14, 15, 16, 17, 18, 19, 20, 21, 22, 23, 24, 25. Anyway now have that off my mind... this is just a really quick 30 Day Snap post today! I feel exhausted and after chatting books and such on twitter with some lovely ladies I have decided it is time for me to get cosy in my bed, get my kindle and a cup of tea and have a good read before I enter the land of nod! I am currently reading Unwholly which is the second book in the Unwind series - which is so so brilliant I recommend! I have so so many books on my wishlist on amazon but I have told myself I am not allowed to buy/download anymore until I have finished all the ones I have currently on my kindle and my shelf! Catch up here, Days - 1, 2, 3, 4, 5, 6, 7, 8, 9, 10, 11, 12, 13, 14, 15, 16, 17, 18, 19, 20, 21, 22, 23, 24. So Monday hit this week and I was overwhelmed with the Monday morning blues ("boooo you whore"). Best thing for that you ask? A spot of shopping, duh! I went into the Liz Earle store for one reason and one reason only - I had run out of cleanse and polish and was on the verge of a breakdown without it! The thought now of taking my make-up off with anything else sets me on edge! I think I wear quite a bit of make-up (especially layers of mascara) and I haven't found anything else that gets off 100% of it and leaves me feeling fresh as a daisy! As Liz Earle are lovely people I got to choose a free miniature aswell to go with my purchase and guess what I chose .... Yup - cleanse and polish! (you can never have too much of a good thing!) and at least it will keep me going for a bit longer! First up, some Lee Stafford hair products! 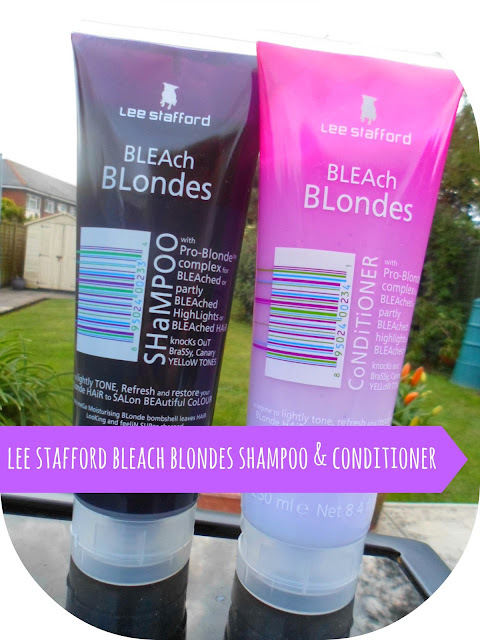 I am obsessed with Lee Stafford products and have been using the hair growth shampoo and conditioner along with the hair growth treatment religiously for months and months and have loved the affect they have all had on my hair! Saying this, recently I've noticed my hair isn't as blonde as I would like (I'm blaming lack of sunshine) so these two products look like the perfect choice for me! These products are for getting rid of brassy and orangey tones from blonde hair which is exactly what I want! I'm sure you've all heard of the "silver shampoo" that everyone uses to get their hair a whiter blonde, well this stuff more or less seems like the same thing.... Just a nicer brand/name/scent! I'll be using these once a week from now on and I'll keep you updated with the results! Have any of you tired these? Next I've got some of the boring basics that us beauty lovers can't live without! Number one - cotton buds! I can't tell you how many of these I get through, mainly on dodgey bits of mascara on my face and fixing my eyebrows after I've penciled and powdered them! They are so so handy for so many things! I buy the "baby" ones as I think they are more or less exactly the same as any other normal cotton buds BUT half the price - why pay more? Secondly I got some cotton pads. 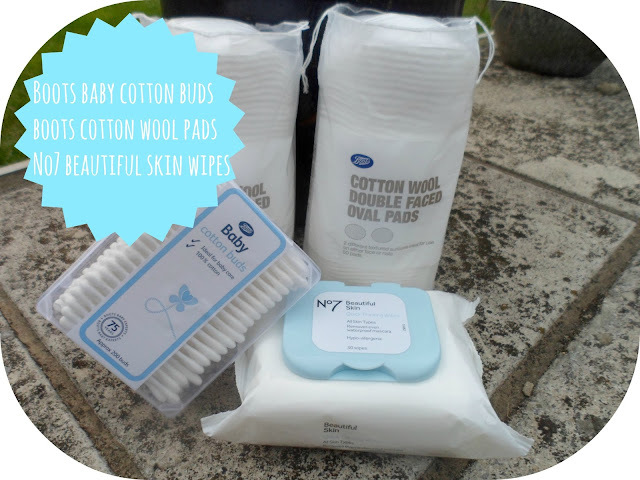 But no, not just any old cotton pads I buy the 'Cotton Wool Double Faced Oval Pads' (posh right?.... no? okay...)! 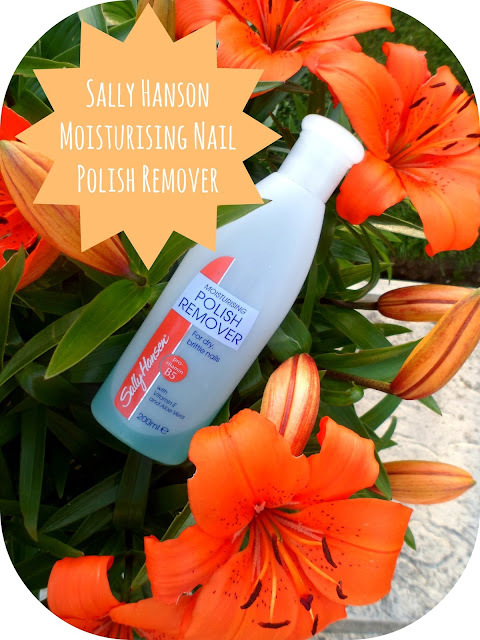 I love these as they are super thick and perfect for using For both my Liz Earle Skin Tonic morning and night and for nail varnish removers! Lastly - some No7 face wipes! Now I'm not a big facewipe user (anymore) but it never hurts to have them around! I thought they would also be handy for giving my make-up brushes a quick spruce up when needed when I don't have enough time to full on clean them)! At the moment Boots are giving out No7 vouchers everytime you spend £4 or more so I used my voucher to get these and because you receive £5 off skincare with it it made these JUST £2! (originally £7 .... duh!) What a barry bargain! People with straight white teeth are probably the people I envy most in the world! If I could have one thing perfect about myself it would be my teeth! I love trying out new whitening products but because I can get quite sensitive teeth I don't like to use to really harsh abrasive stuff (also I'm a massive wimp!). So a few weeks ago on twitter I asked everyone for their advice! 'A good whitening toothpaste which will is not harmful, super abradive or that will make my teeth sensitive.' (see I'm not even asking for alot....). 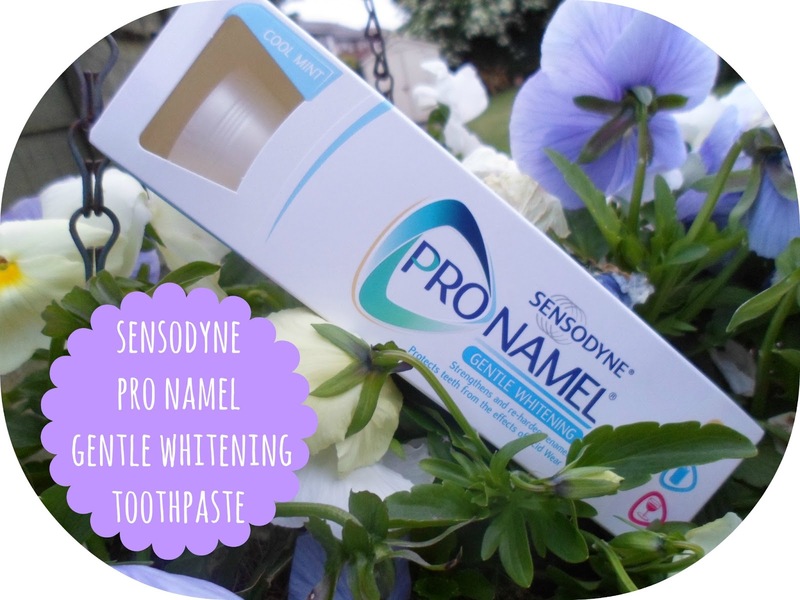 Most people agreed with me and said most of the good ones are strong and can leave your teeth quite sensitive but a couple of people (including a friend who is a dental nurse) recommended this - Sensodyne's Pro Namel Gentle Whitening. This is also apparently the only whitening toothpaste recommended by dentists so I thought I would give it a go and hopefully I'll notice a change soon! If you are anything like me then you never leave home without this stuff. Anti-bacterial hand gel has become a staple in my handbag wherever I may be going! It smells amazing and reminds me of the first half of my travelling in the USA as this was in my bag constantly! I love the scent and like paying a bit extra for a nicer smelling/looking gel. Finally were onto the last two products and my favourites! You've seen me rave about Barry M lipglosses before on here and this one has got to be my favourite. Not only is it an amazing bright pink colour but it also smells like Bubblegum! I love it so much, there's nothing worse than a lip product with a horrible smell and Barry M have got the scent just perfect on this AND the formula is amazing too smooth and pigmented. Along with this I purchased the Rimmel Apocalips in Big Bang. Now I've you've read my blog for a little while you know that I have been after a good thick pigmented red lipgloss for a long long time. 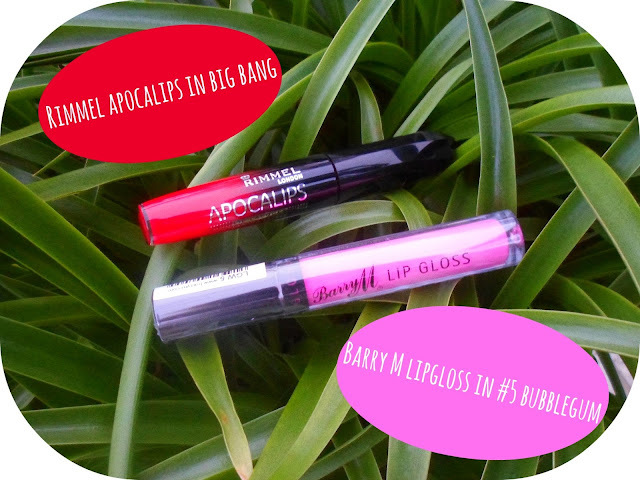 Not so long ago I had the Barry M red lipgloss which, like all their others, was amazing but it was limited edition so when it was gone - it was really gone! After not being able to find one which compared I was extremely excited when I bought the Apocalips in the colour Nova (a gorgeous dusty pink) a couple of weeks ago! After asking the beautiful people on twitter I found out there was a red shade and everyone seemed to have the same opinion - it was the one! So happy I finally have a lovely red lipgloss that I don't have to pair with a lipstick -sometimes I just find it so much easier to keep re-applying a nice lipgloss throughout the day/evening rather than faffing around with a lipstick - the colour is so so great and I can't praise Rimmel enough for the Apocalips range. My 30 Day Snap today is a photo of a page from a book I own! The book is by Katie Piper (if you are not from the UK and are unaware with who she is then google her, she is an inspiration) and it is called Start Your Day With Katie! Every page of the book is for a day of the year, like a calendar, and there is a different positive message, quote or a wise saying every single day - I love it! It is a really nice thing to read every morning and get your day startedwith and if you ever get bored it's amazing just to flick through and read some really great stuff! I especially liked today's page so I thought I would include it on here! Catch up here, Days - 1, 2, 3, 4, 5, 6, 7, 8, 9, 10, 11, 12, 13, 14, 15, 16, 17, 18, 19, 20, 21, 22. I've really been in the mood to do a tag post - I love reading them aswell as writing them and after asking on twitter for some ideas I decided to do the This or That? Tag post - Thank you LoveFromSammie for the recommendation! I think the point of the post is pretty obvious (I hope) there's a set of questions and I've just got to pick which one I would choose out of the two! 1. Blush or Bronzer? 100% Bronzer! I love the stuff and to be honest I never really use blusher, I just don't really like it on me. And really all you have to do is embarrass me a bit and there you go - blushed up to the max for free! 2. Lipgloss or Lipstick? I'm going to say lipgloss! Just for the pure fact that you can wear it for any occasion! Clear lipgloss if you basically want nothing and then you can layer on a red lipgloss if you want a vibrant lip! See I'm thinking these through and as much as I love lipsticks I think you can do more with lip glosses! 3. Eyeliner or Mascara? Oh hands down - Mascara! I have such short eyelashes that mascara literally saves my face from looking like a 15 year olds, couldn't live without it! 4. Foundation or Concealer? Foundation. Even though I am blessed with fairly good skin I still wear it near enough everyday, I just prefer how I look with it on! I always wear a full coverage foundation like L'oreal's True Match or Mac Studio Sculpt and really I only ever use concealer for the bags under my eyes! 5. Neutral or coloured eyeshadow? Neutral! Urban Decay's Naked Palette is my holy grail - I am obsessed with it. Any crazy colours just have me looking a bit dodgey (drag queen) where I have really small eyes! 6. Pressed or loose eyeshadows? Pressed - cant be dealing with all that mess! 7. Brushes or sponges? Definitely brushes - think I've used a sponge once in my life! How the hell would you do a full-face of make-up with just sponges!!? 8. OPI or Nails Inc? To be honest I own both but wouldn't rave about either being my favourite! I'd definitley pick OPI for their range of colours, cute names and the overall quality of the product I think, but my favourite polishes are Barry M & Essie! 9. Long or Short? Both can look nice! I'd say if they are long then I think they need to be fake as they look neater (some peoples natural long nails creep me out....)! But I love the short look aswell, especially in summer with some nice shellac on them! 10. Acrylic or natural? Can I say Gel? Or Shellac? If I'm having fake nails I always get gel with shellac polish on the and I LOVE shellac on its own too! 12. Flower or no flower? No flower. This is a strange question. 13. Lotion or body butter? So I'm guessing these questions aren't about nails anymore..... I'd say body butter I love a thick creamy moisturiser like Soap & Glory's Righteous Butter! 14. Body wash or soap? Body wash..... Soap kind of creeps me out.... Surely it's dirty? 15. Jeans or sweatpants? If you catch me at home you will see that I LIVE in sweatpants/pyjamas so I think thats what I'd choose.... I don't think I'd pull them off walking down the highstreet though but I wear dresses/skirts/leggings more or less 24/7 anyway! 16. Long sleeve or short? Short? Long? Depends on the weather I live in England! 18. Stripes or plain? I'm going to say plain, I love stripes but these could be unflattering and plain is easier to style and accessorise! 19. Flip flops or sandals? Sandals - anything that makes feet look a little bit prettier is good with me! 21. Studs or dangly earrings? If this was 4 years ago I'd would have probably said dangly but I've changed my tune and basically never take out my Tiffany silver studs - so studs it is! 22. Denim or Leather? There was no 22. so I've added one! I think I would have to pick leather... 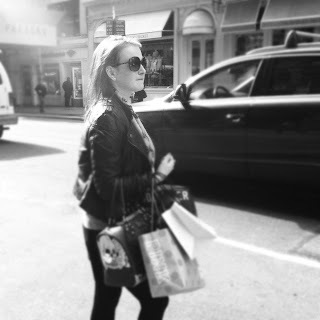 I can't live without a leather jacket! 23. Heels or flats? I love both! I'd probably go for flats (if this decision was for the rest of my life!) so many choices and can still rock a cute dress in flats/sandals! Also how would I go running if not?! 24. Cowboy or riding boots? Don't own either...... Can I say both? Neither? Not fussed people, I'm not fussed! 26. Topshop or River Island? Topshop, where I live we don't have River Island and I prefer Topshop to it anyway, they are always first to bring out the trends and the quality is always great. 27. Curly or Straight? Nice big curls look amazing! I think the length my hair is now aswell having it straight just doesn't suit me! 29. Bobby pins or Butterfly Clips? Bobby pins (aka hair grips) are my life..... Although who steals them? I mean seriously one day I have 100 and then...2! Where do they go?! 31. Long or Short? I've had both and loved both but LONG. Can do so much more with it, I cannot wait for mine to grow to a decent length! 33. Side sweep bangs or full bangs (bangs = fringe)? I'd pick side sweep, easier to change and style differently. Had a full fringe a couple of years ago though and loved it ... Until it grew out! 34. Up or down? I normally have it up at the moment as I'm trying to grow it so not using any heat on it! But as soon as its long again I will be wearing it down all the time! 35. Rain or Shine? Shine - Sunshine makes you happier - fact! Although being snuggled up inside when it's raining is an amazing feeling. 36. Summer or Winter? I love both but living in England we never get a summer anyway so I'm going to say winter! I love wrapping up and layering my outfits plus it's Christmas and my birthday (Feb is still winter in my opinion!) - bonus! 38. Chocolate or Vanilla? (haha in link to the previous question!) I love chocolate, if I could I would live off it - breakfast, lunch and dinner. 39. Shower or Bath? Shower, makes me feel cleaner, fresher and it's lot easier to use everything! A nice relaxing bath is good once in a while though! 40. Comedy or Horror? Comedy - I love stuff that can make me laugh out loud, things like Bridesmaids make me so happy! So there we go, maybe you learnt a bit more about me then? What are your thoughts? Any questions you totally disagree with me with? I TAG YOU ALL to do the This Or That Tag! I wouldlove to know what you'd pick and why so make sure to send me your links if you do this post!